Buddy up or go it alone in the chaotic, co-op cooking game Overcooked 2. 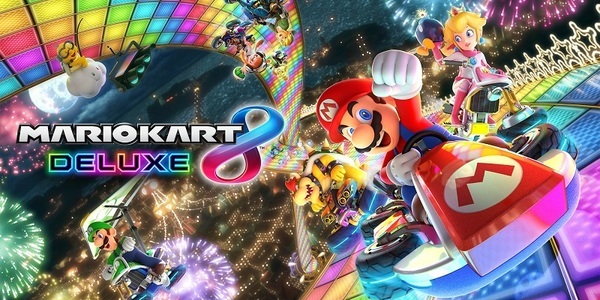 And keep the fun going as you compete in the ultimate kart-racing game, Mario Kart 8 Deluxe! Overcooked 2 & Mario Kart 8 Deluxe are available now on Nintendo Switch. Find Your Way to Play. Switch My Way commercial - "Tetris 99, Fitness Boxing & Mario Kart 8 Deluxe"
Use speed, skill, and strategy to knock out the competition in Tetris 99. Then get moving with fun, boxing-based rhythmic exercises in Fitness Boxing. And bring the family together for fun competition in Mario Kart 8 Deluxe. All these games and more are available now on Nintendo Switch. Find Your Way to Play. Play the games you love, however you like. Super Mario Party & Mario Kart 8 Deluxe are available now exclusively on Nintendo Switch. In honor of Yoshi's Crafted World launching, Nintendo is hosting a Mario Kart 8 Deluxe Time Trials event at the Kansai International Airport in Japan. The Time Trials will be held on Yoshi Circuit, which first appeared in Mario Kart: Double Dash!! Ah, you have to love the seedy nature of some arcades. Games that are meant to 'test your skill,' but they're really out to just steal your cash. That's exactly what the machine above is, but it goes a step further by stealing a song from Mario Kart 8 Deluxe! An arcade machine stealing music from another video game. Man, so many levels of irony on this one! Twitch put together a rather unique live-stream event earlier today to raise awareness of an impending change to European copyright law. This change, which could leave Twitch liable for its users' content, is quite the serious issue for a platform like Twitch. That's why the streaming giant brought in both Tiemo Wölken and Julia Reda, representatives of Germany's Social Democratic Party, and Pirate Party respectively, to discuss Article 13. How did the team make sure their discussion of a serious issue still stayed entertaining? They played some Mario Kart 8 Deluxe to move the conversation along! You can see the entire live-stream event above. Watch World record attempts. 200cc, Star Cup, items from Skilloz_ on www.twitch.tv Check out the 24:30 mark for the incident. Skilloz_ was on a world-record run in Mario Kart 8 Deluxe. Just a few more seconds, and he would have the new record for the Star Cup circuit at 200cc speed. The record was within spitting distance, and then it happened. A Blue Shell swooped in and ruined the entire run. It happened at the end of the last race as well, adding just a bit more pain to the whole experience. While it's sad to see this record lost to a Blue Shell, I have a feeling most MK8D speedrunners know the feeling all too well. A doctor at the Taipei Heart Clinic in Taipei, Taiwan has put up a really interesting display on his ceiling. I guess when patients spend a lot of time laying down, you might as well put something on the ceiling for them to look at! Apparently this doctor is a fan of Mario Kart, as he's got a whole track hanging about patients' heads! 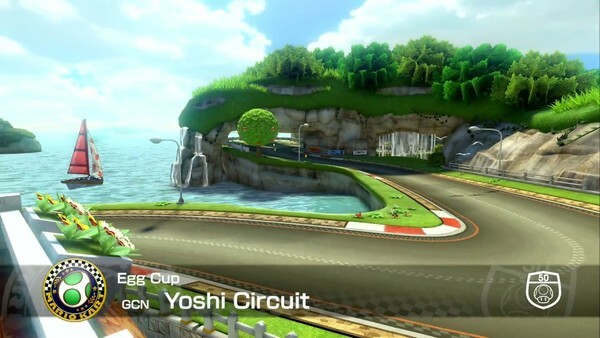 Since this track is upside-down, I guess that makes this a Mario Kart 8 track! Mario Kart 8 Deluxe has gotten an update, bringing it to Version 1.7.1. Check out the full patch notes below. - Fixed an issue that caused the game to become unresponsive to any input except for the HOME Button. - You will need to download this update to play with others online. - After you download the latest update data, you will no longer be able to play over local wireless or LAN with others until they download the update as well. The ESPN show High Noon covered the recent story of Mario Kart 8 Deluxe being played in Arrowhead Stadium, but then took things further by getting in on some Mario Kart 8 Deluxe action themselves by playing a race on the show! Now that looks like one hell of a fun job! Thanks to Thisboywillbreak for the heads up!